Continuing this series into the people who helped form the communities that now make up our Northern Moreton Bay Region, and how we remember them, few families can have been more distinguished in the Moreton Bay Region and in the broader Queensland community at large than the Bancroft family – and few Queensland families have warranted an archaeological dig (unless they had convicts in their ancestry). 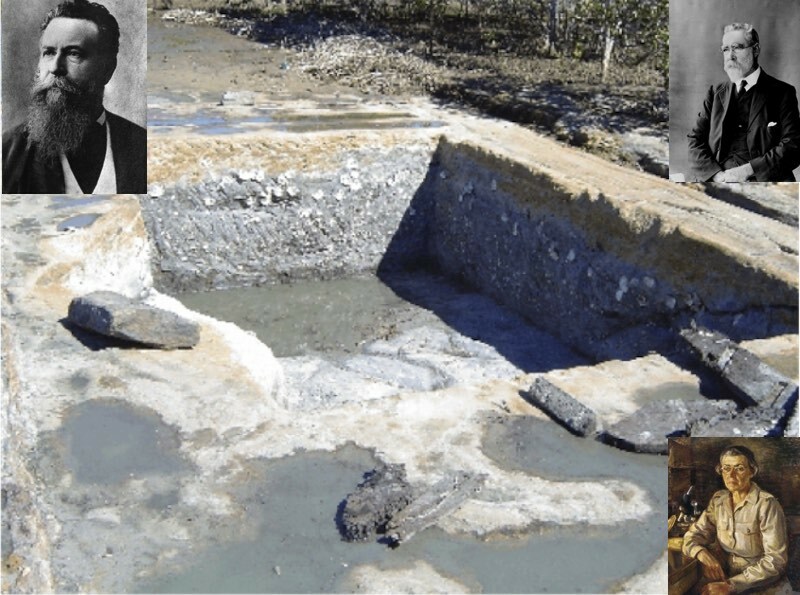 The Bancrofts were a family of scientists who lived at Deception Bay between 1881 and 1904: Joseph Bancroft, his son Thomas and Thomas’ daughter Mabel Josephine (later known as Jo Mackerras after her marriage). All three Bancrofts were doctors of medicine as well as being very interested in other branches of science. During the time they lived at Deception Bay they improved an age old form of food preservation. In 1890 Joseph built a meatworks at Deception Bay, which was then called Burpengary. He experimented with processing dried fish and vegetables as well as meat. In 1894 upon the death of his father, Thomas inherited the Deception Bay meatworks, and made it into a profitable business when he started to supply a product ‘Pemmican’ for use by the British War Office as emergency rations. This was ground-up beef, dried and packed into tins. Mosquitoes were such a problem when they arrived here that the Bancrofts spent a lot of their time studying them. Specimens would have been easily obtained amongst the mangroves of Deception Bay! Joseph was one of the first to suggest that mosquitoes transmitted the disease elephantiasis. He was the first to recognize leprosy in Brisbane, although the disease had been present for at least a decade. Typhoid fever was prevalent and its prevention and treatment also engaged his attention. Joseph became a member of the Acclimatisation society of Queensland and spent a lot of time and money on experiments. He produced new varieties of strawberries, wheat, grapes, and castor oil plants and established plots of land where he grew plants that could be tested to see how useful they were. He also experimented with growing rye, barley, cotton, sugar cane, citrus fruits, cloves, grasses, date and coconut palms, and tried arrowroot and tobacco, which didn’t grow. There was a problem with wheat at that time when it became infected by a fungal disease called ‘rust’. Joseph grew over a hundred different types, trying to find one that would not be affected by this disease, and eventually found four kinds that were successful. When the Bancrofts lived in Deception Bay, there were still Aborigines living in their own traditional way. Thomas was interested in their lifestyle and their food plants. He was the first person to record their use of a fern called the Bungwall Fern, which was one of the Aborigines important vegetable foods. The Bancroft’s house in Deception Bay was called ‘Thelmum’. It was Ann Bancroft’s favourite home. Joseph spent his weekends there, travelling from Brisbane to what is now Petrie by train, and then by horse and buggy to the bayside. When Ann became ill, she was told that bathing in seawater could help, so Joseph had two baths excavated out of the sandstone on the foreshore for her to use. These baths would fill with seawater as the tide came in. You can still see one of these (pictured) on the foreshore today, and which has recently been the site of an archaeological dig. 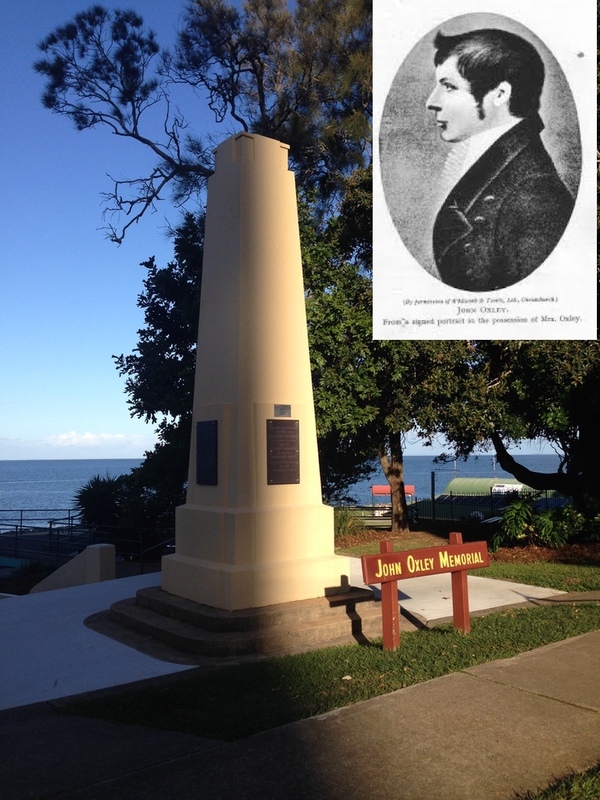 At Deception Bay, the Bancroft’s are also remembered by memorials and local streets: Bancroft Terrace and Joseph Crescent, and the park Bancroft Park. The Queensland Institute of Medical Research is today known as the Bancroft Centre.